This two bedroom Brick Ranch in the Miller Park area is just minutes away from shopping, restaurants and schools, including Liberty University and University of Lynchburg. The main level offers a covered front porch entrance into the formal living room; separate dining room w/arched doorway; spacious kitchen w/back yard access; Master & 2nd bedroom share full hall bath. Terrace level includes large laundry room w/plenty of room for extra storage, pantry items or workshop (already partitioned). The level back yard has a fenced in area which is the perfect space for your four legged family members or garden. Enjoy a quiet night or build a fire pit for entertaining with friends. Off street parking too. Want a night out? Walk to a Hillcats game! 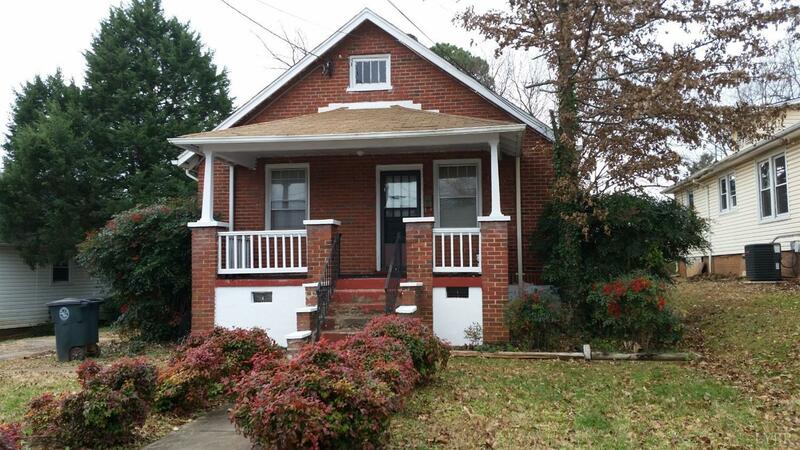 Turnkey investment property ready for a tenant or make it your own...perfect for a first time buyer.